The Global Issues Network (GIN) was created in 2003 by a group of teachers and administrators at the International School of Luxembourg. After reading the book High Noon: Twenty Global Problems, Twenty Years to Solve Them (2002), they decided to form an network to help students address these issues directly. Since 2003, GIN has spread internationally, with GIN teams all around the globe. Hong Kong Academy's Secondary School GIN team is comprised of a growing number of students from ages 11 to 17. GIN first came to HKA in 2012 and has grown substantially since 2015. HKA"s GIN team is passionate about global issues with a focus on a commitment to education for all. Building on this theme, the team has learned about and taken action related to refugees in Hong Kong and around the world, fair trade and child labour practices. 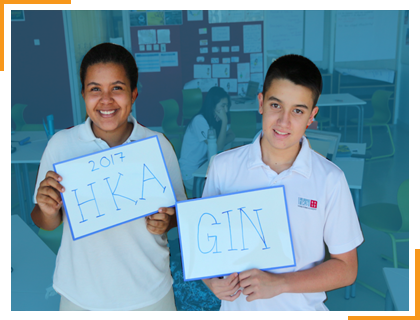 They are excited to welcome their peers to HKA for the March 2017 GIN conference.